Sunny day and Daniel is ready to head out, a photo by miguelpdl on Flickr. 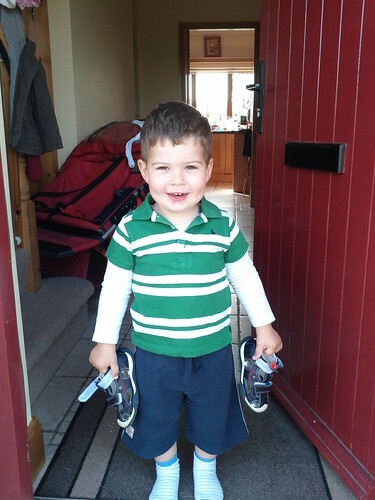 Daniel just loves being outside, and here he is early on a sunny day ready to head out. 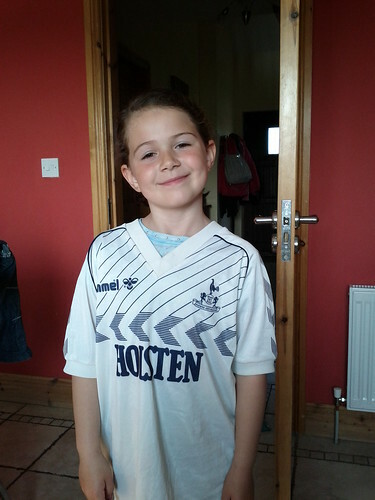 Kate all dressed up for jersey day in Spurs jersey circa 1986-87, a photo by miguelpdl on Flickr. It started off as a hard task, what jersey should Kate got for, for Jersey day in her school and then it hit me, Spurs 86/87 the Hoddle/Waddle//Allen year.